Are you a table tennis player that really wants to improve your overall technical execution of all the shots in table tennis? Are you a table tennis player that really doesn’t know how to train effectively? Are you a player that really would like a professional to take the guesswork out of what direction your game should go in? Are you a table tennis player that would like a professional approach to training in the sport of table tennis? If so, then the Tournament Table Tennis Training Plan is the program that you are looking for. 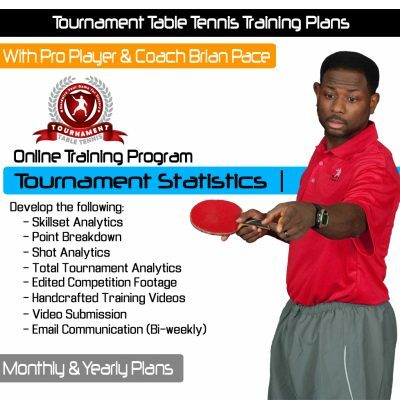 The Tournament Table Tennis Training Plan is designed for table tennis players that are interested in having their training analyzed by a professional player and coach all in one person. This program predominantly focuses on what technical modifications need to be made to become a more proficient table tennis player on a foundation level. If you are going to be effective in Tournament play, then you need your basic technique to be solid. For the “Training Plan” you will need to submit tournament footage, a practice match, or a training session of at least 3 different exercises at a total of 15 minutes. After you sign-up and have paid, you will need to send your video via dropbox. After your video has been received, you will get email confirmation that the video has landed in our dropbox. Within 24 hours you will be given a tentative date at which your video will be analyzed and sent back to you. 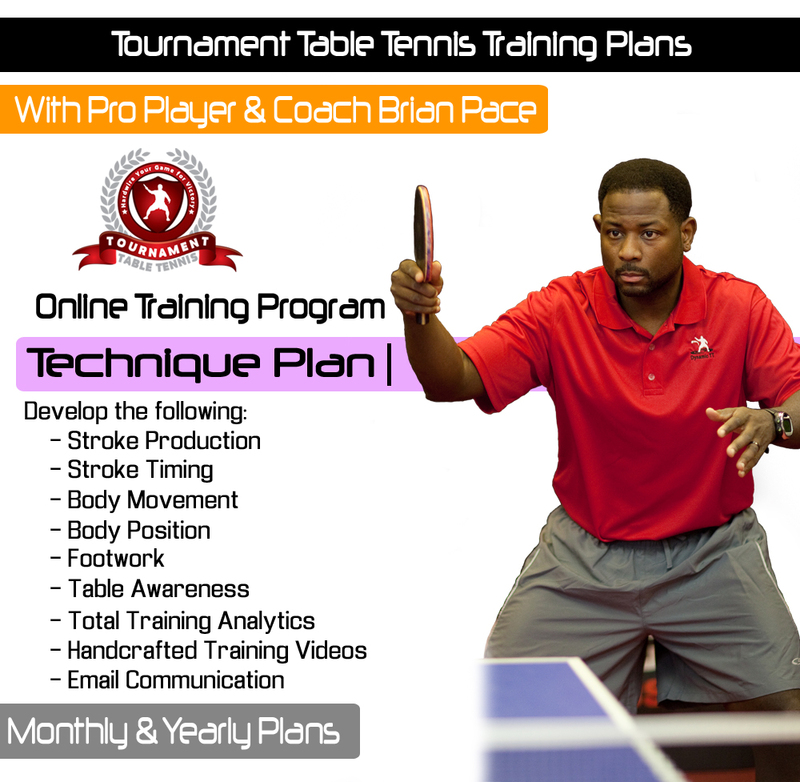 If you are serious about your table tennis development and are dedicated to improving, then the Tournament Table Tennis “Training Plan” is just the program that you are looking for. 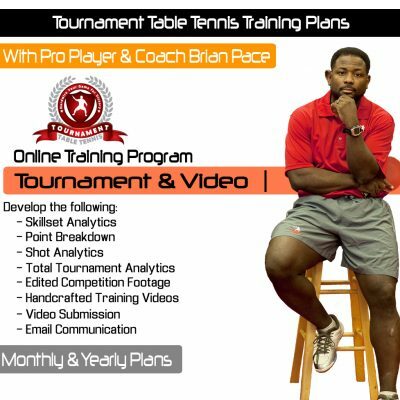 I just started this program and having my tournament match analyzed and edited with voice over along with my first set of drills for the first month is worth the price. Brian gets right to the heart of your weakness and immediately has the perfect solution. If you want to improve…you need this. I’ve watched hundreds of hours of online tutorials that are free. You get what you pay for. My training partner told me after I did half of one training session of my drills from Brian…”I can see a whole different mindset in your game”. After one training session my forehand loop has a lot more spin, better consistency, and a much better arc. I am blown away. If you want to get to the next level and more trust me. Brian will get you there.